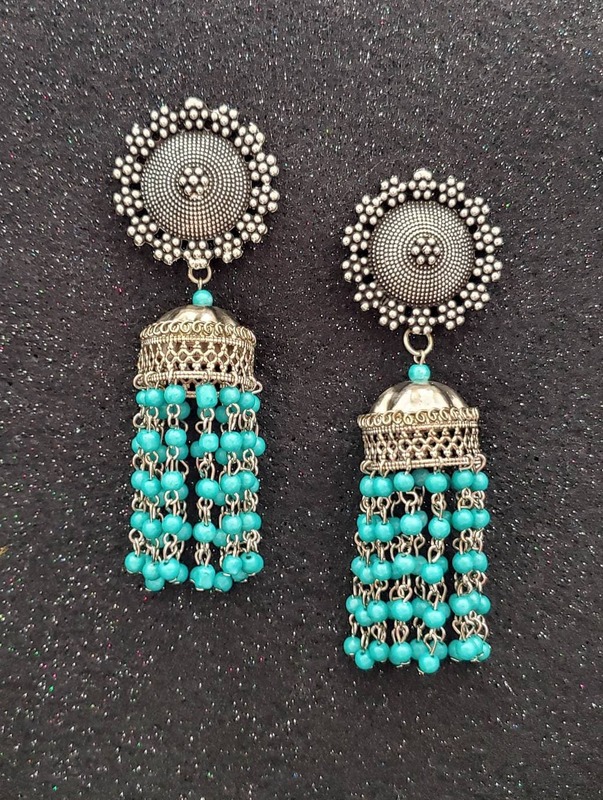 Look stunning in these handcrafted long turquoise beaded jhumka earrings in oxidized silver. So versatile - wear it with ANY color outfit. 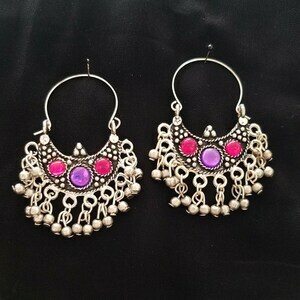 This will become your "go to" earring!!! Show off your fun and playful side! 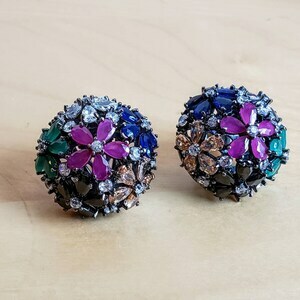 Intricately detailed ear stud in a rosette pattern. 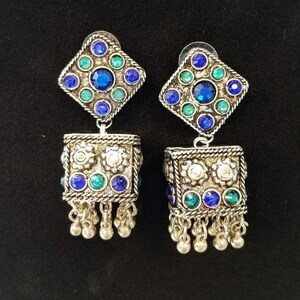 Jhumka is fluted, not smooth, adding interest, and a bit of an exotic touch. 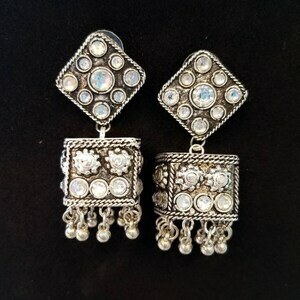 Jhumka is in a brighter silver color than the ear stud.